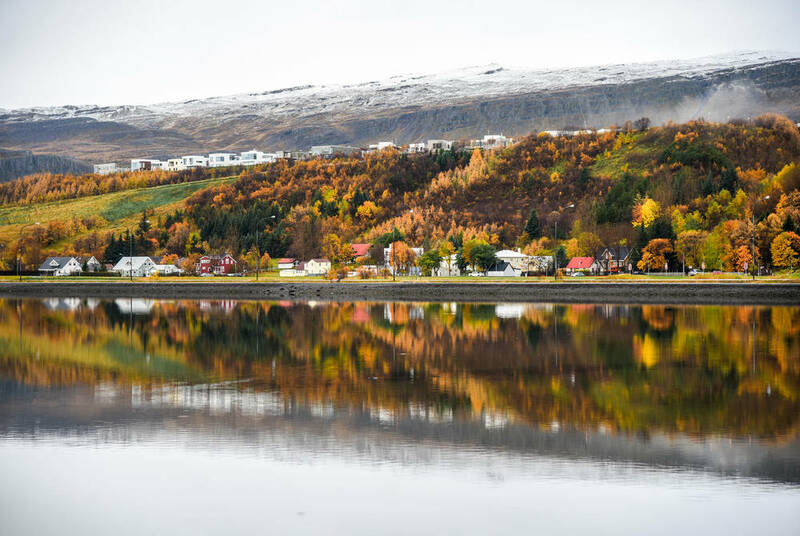 Taking advantage of brand-new flight routes, this tailor-made getaway beats the crowds and swaps the bustle of Reykjavik for the small-town charms and geographic drama of Akureyri. Think bubbling mud pools, endless lava fields, great continental divides and the Northern Lights all showcased on in-depth included tours. 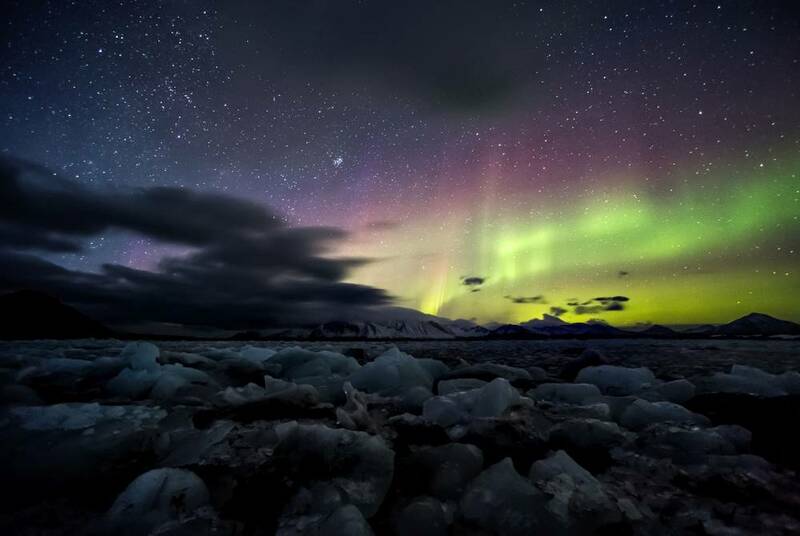 And, as Iceland’s driest region, it’s one of the best places to spot the magical aurora. There’s also plenty of time at your own pace, with included transfers bringing you to and from your chic hotel, perfectly positioned to take in the town’s art scene and surrounding fjord majesty. 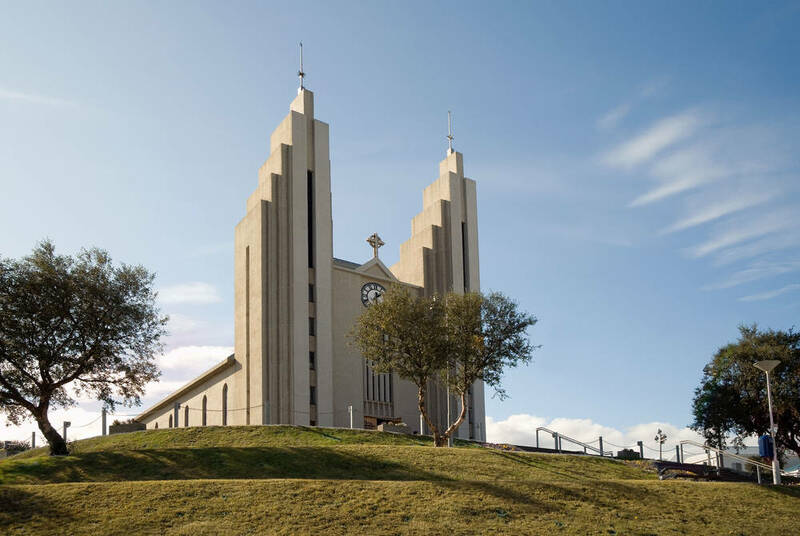 After flying out to Reykjavik and bypassing a long drive with an internal connection, you’ll arrive in Akureyri and the Icelandic north. With your transfer waiting, you’ll soon be at your Nordic-chic hotel, enjoying some time to settle in. Not only does it feature gorgeous views of the surrounding fjord and mountains – best taken in from the outdoor fireplace – but it also is just a short wander into town. Here, Iceland’s “second city” delights with a small-town buzz of boutique cafés and art galleries. The ultra-modernist Lutheran church is a special highlight, as is the geothermal swimming pool next to your hotel. 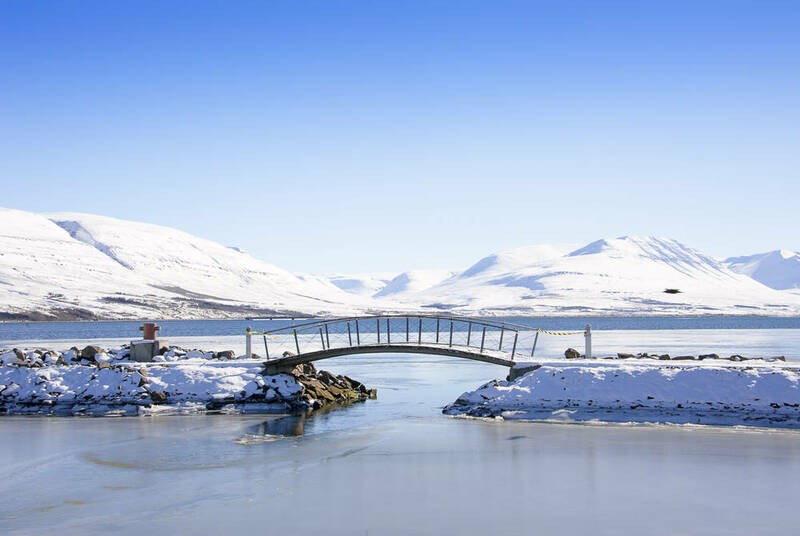 Beginning your full-day adventure, you’ll head off on a small-group tour, crossing over the dramatic Eyjafjörður Fjord to arrive at Goðafoss. 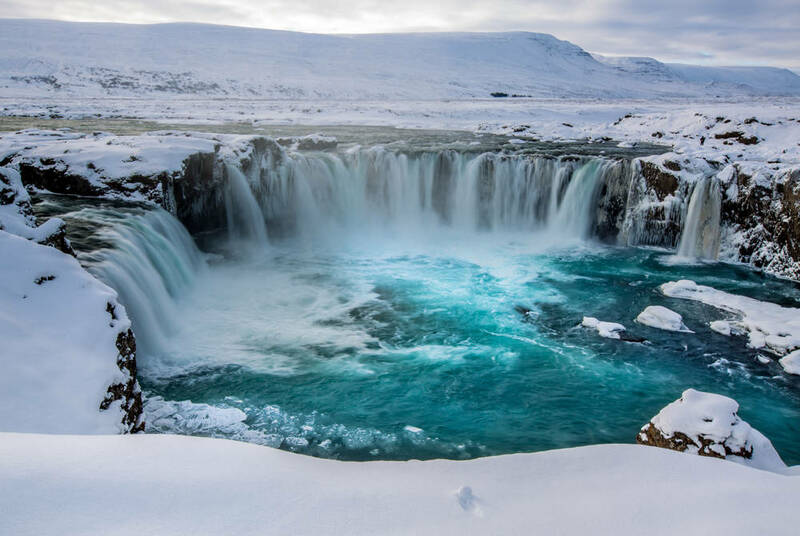 Spanning 30 metres, it’s one of Iceland’s most impressive waterfalls. Your next stops then range from wetland craters and steaming mud pools to mountain views and giant lava fields. There’s even Grjótagjá – the great continental rift. 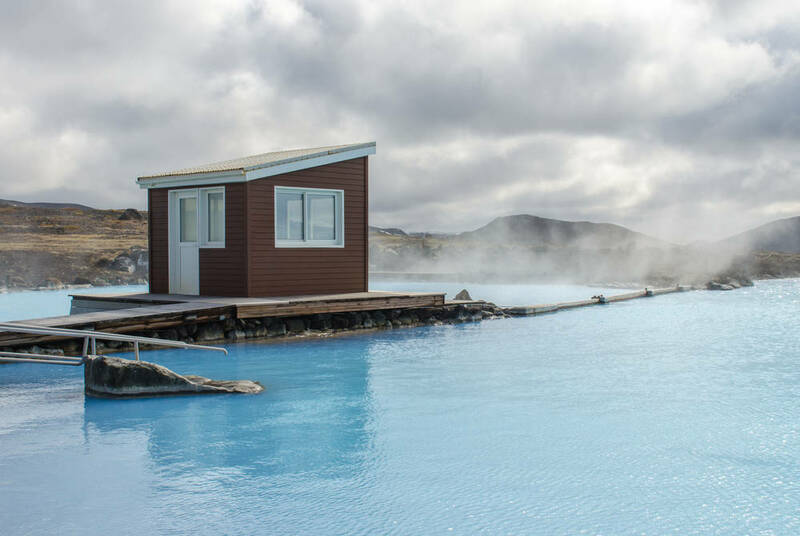 Cap it all off with a soak in Lake Myvatn’s lava-field thermal pools – a more relaxed alternative to Reykjavik’s Blue Lagoon. 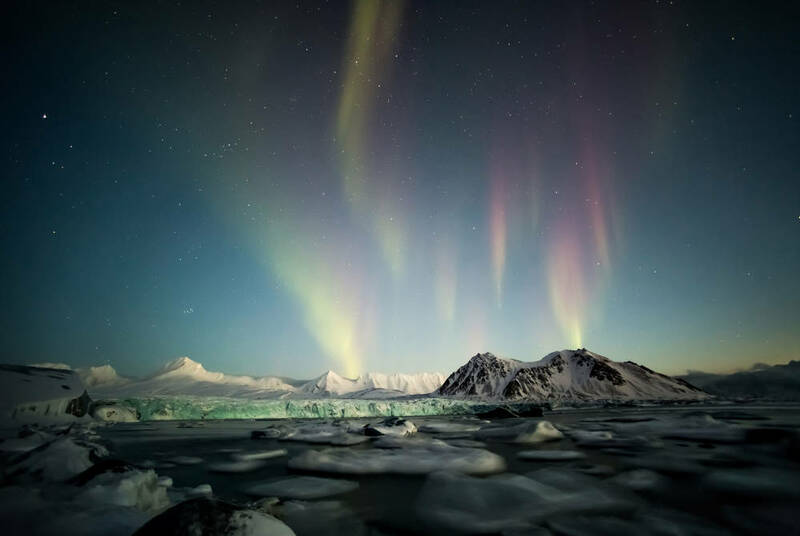 Lastly, come the evening, you’ll set off in search of the Northern Lights, leaving the light pollution behind to experience one of the highlights of world travel. And, if you miss them, you’ll get a complimentary tour on the next departure. You’ll have today at leisure, perhaps to relax with your hotel’s fjord views or to spend some more time exploring. 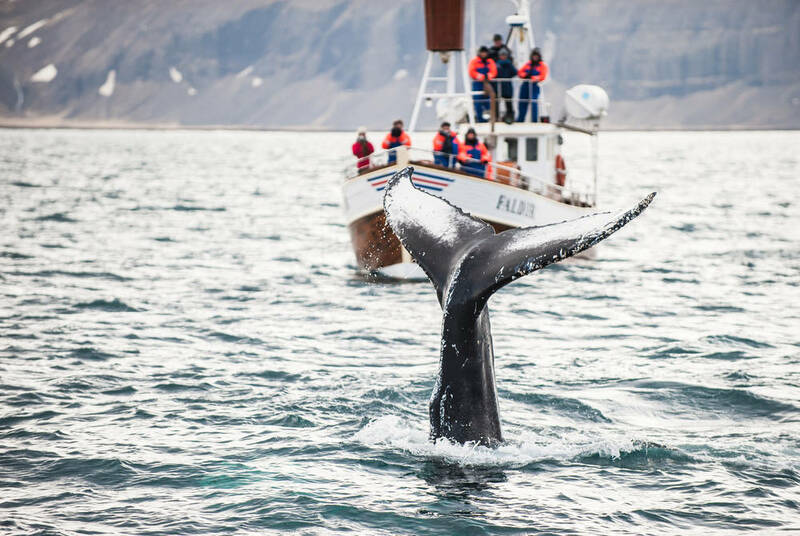 As Iceland’s most geographically diverse region, there’s plenty to choose from, whether it’s a simple hike or a thrilling snowmobile safari. For something a little different, look into a microbrewery tasting or a beer spa, where fine brews are paired with innovative treatments. Then, there’s such Icelandic favourites as whale watching, Superjeep 4WD tours and lava-cave trips, where naturally formed ice sculptures glitter under the glow of head-torches. Following your final included breakfast, you’ll be transferred to the airport for your flight home.